When Nick and I first got together to write this post about our time in Home Office Digital, it soon became clear that it was going to be a harder task than we first expected. This wasn’t just because we’ve had such different experiences, but also because in our roles as interns, we’ve had a unique access and opportunity to get involved in such a wide range of interesting projects. This time last year we were both undertaking an MSc in digital anthropology at the University College London, and now we’re user researchers for Home Office Digital. As digital anthropology students we studied what it means to be human in the digital age, and the role technology has in shaping people’s attitudes. Anthropology is a discipline often associated with studying other people in far off lands, their languages, customs and how they understand the world. Digital anthropology considers, among other things, how people interact with technology or are, at times, excluded by it. Our interest in these areas has helped us settle in at Home Office Digital. On day one in our new role, we quite literally had to learn a new language - with lessons in British Sign Language – we also had to get to grips with all the civil service acronyms and processes. One of the best features of Home Office Digital is the strong sense of community. Within the user research and design team we have a fortnightly, cake-fuelled meet-up, where colleagues run workshops and team building exercises, or simply share their experiences. We’ve also had a number of external speakers give talks and run sessions on different approaches to research. The ethnographic and research methodologies we honed during our course have been a huge help in our new roles, but it’s the focused appreciation of relativism anthropology teaches us that we think has helped us the most. What I mean by this is that our studies taught us to understand that everybody’s experiences are different - even when many of the circumstances are the same - and the work we’re doing at Home Office Digital gives us an opportunity to put this learning into practice. A core skill of a user researcher is to imagine life in other people’s shoes, and this is perhaps most valuable when researching with assisted digital users or those with access needs. Inclusion is fundamental to the Home Office Digital’s mission to aid the Home Office in becoming digital by default, and something we’ve both been really proud to be a part of. From day one we’ve been involved in projects that are changing how the Home Office works, and how the Home Office engages with the public. Nick has been working on the new online renewals service with HMPO, a service which will be available to everybody with a UK passport and will fundamentally change UK passport renewals by automatically checking digital photographs submitted by the applicant. I, on the other hand, have been working on an internal project, the single intelligence platform (SIP), which will modernise the collection, storage and use of data to identify and tackle abuses of the UK’s border, immigration and citizenship systems. 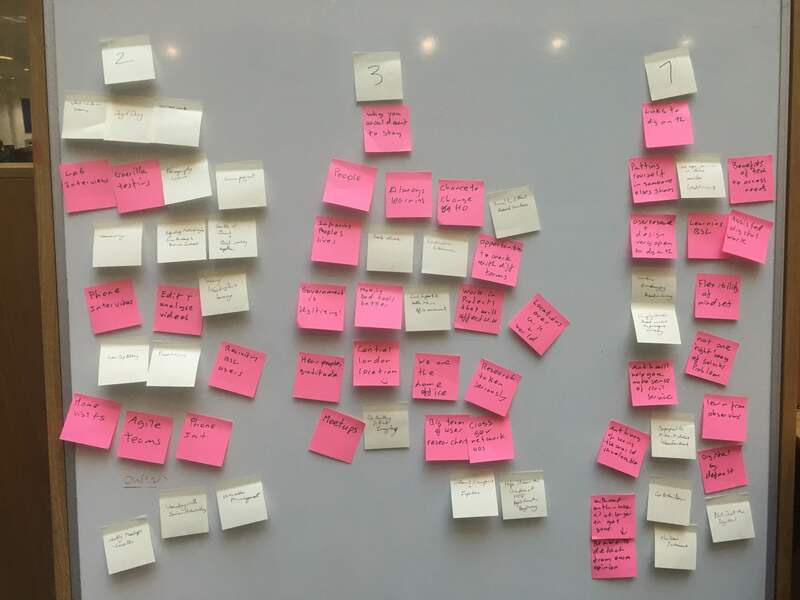 As user researchers at Home Office Digital we have freedom in how we conduct our research, meaning we can be flexible to the situations and contexts of the projects we’re working on. For example, the online renewals service will be used by members of the public once every 10 years. The single intelligence platform, on the other hand, will be used day in, day out by Home Office staff. This brings challenges for both development teams to ensure it has an effective and efficient user experience. Much of my work has been focused on testing the single intelligence platform. I’ve looked at the initial learning curve for users as well as the long term usability. To do this, I’ve had to understand how the single intelligence platform will fit into the working day of the staff who will use it. Nick, however, has had to take a slightly different approach. He’s been working to ensure that everybody gets a satisfactory user experience using the online passport renewals service, no matter what access needs or level of digital skills they have. He’s been focusing on usability testing with access needs users, to ensure the online passport renewals service works effectively for these users and their assistive technologies. Throughout our time here we’ve both been surprised by how much of the digital anthropology training is transferable into the context of building digital by default services. The main focus is on people, so it’s only fitting that the greatest thing about our time so far has been all the amazing people we’ve had the chance to meet. As user researchers we get to go to the front line of government services and hear about the good, the bad, and the ugly experiences - and then play a part in making them better. We’ve both been lucky enough to work on projects that are having real impacts on people's lives, and with teams that are enthusiastic about what they do. The internship has been a steep learning curve for us so far, and we both feel we’re still learning every day: learning from the users, learning from the contractors, learning from the user research team, the design team and the wider civil service. If you were to ask us whether or not you should apply for an internship at Home Office Digital, we’d recommend it in a heartbeat.